MSP Willie Rennie has written to the three councils. A Fife MSP has called on the local authorities for the Kingdom, Dundee and Perth and Kinross to work together on creating a new cycle loop. The Tay Estuary cycle loop would run from Newburgh to Dundee, along to Perth, back across to water to Abernethy, and then returning back to Newburgh. MSP Willie Rennie has written to all three councils urging them to work together on the scheme. He said it would encourage more active travel and attract visitors, although some improvements would have to be made. “Large parts of the route are on quiet country roads and dedicated cycle paths but there are sections that require work to make them safe for all cyclists,” Mr Rennie said. 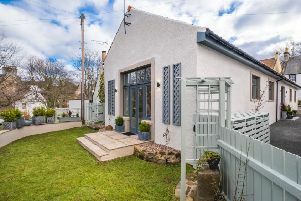 “The section between Abernethy and Newburgh that crosses the Fife border with Perth and Kinross is especially difficult with a narrow busy road connecting the two communities.